I would have to say this is definitely one of my 5 best recipes. 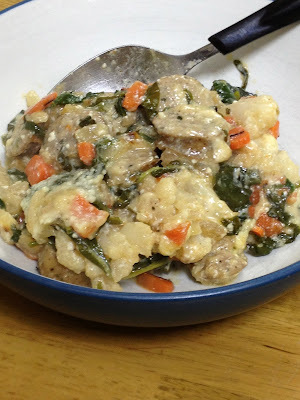 The meat comes out perfectly cooked and so tender, the veggies can cook in the same pot right along with it, and the sauce is the perfect combination of tangy and cheesy with just a hint of sweet. It's simple to throw together but it tastes gourmet. My favorite thing about the Instapot is that usually you just dump stuff in and push the button. This recipe has a few more steps than normal and, generally, I'm super opposed to that. However, in this case it is 100% worth it. Matt is hands down the laziest cook in the world but this meal is so delicious that even HE chooses to make it on nights that he cooks. In fact, the dinner pictured below was made by him :) I married a brilliant man... in all things besides cooking. But that is a testament to just how easy this is. The kids basically throw a party when they hear this is on the menu and everyone licks their plates clean....not figuratively, literally. We serve it with a side of grilled asparagus. Originally I figured this was 8 servings but then Matt ate almost an entire pork tenderloin by himself....sooooooo I changed it to 6-8. Enjoy! Drooooooool. Also, I finally managed to take a good food pic. 1. Plug in Instapot and push the Saute button. When it says HOT, add a splash of olive oil and place the tenderloin in the pot. Let it brown a bit, about 2 mins per side. 2. Mix together the 2 Tbsp honey, 2/3 cup broth, 3 Tbsp soy sauce, 2 Tbsp dried basil, and 2 Tbsp minced garlic. Once the tenderloin is browned, take it out and place it on a plate briefly. Pour the sauce mixture into the pot and scrape the bottom to deglaze it. 3. Push Keep Warm/Cancel to turn off Saute. Add the tenderloin back to the pot and roll it around in the sauce mixture to cover it. 4. If you are using potatoes and carrots, place the trivet over the meat and then put the veggies in a steamer basket on top. Make sure the steamer basket is low enough that it doesn't interfere with the lid, though. 5. Make sure that the sealing ring is firmly in the lid of the pot, put the lid on and seal it, turn the knob on the top towards the back to "sealing", and push the Manual button and use the + and - buttons to adjust the time until it says 5 minutes. 7. Push the Keep Warm/Cancel button to turn it off and remove the veggies (if using) and tenderloin and set aside. Stir the 2 Tbsp whole wheat flour and 1/2 cup Parmesan cheese into the sauce remaining in the pot. Push the saute button and let the sauce bubble and thicken a bit, stirring frequently especially towards the end. This is a tried and true recipe that I have since adapted to the Instapot. I have two phases in my cooking-life; BIP and AIP....Before Instapot and After Instapot lol. But, seriously, WHAT did we used to eat before I had an Instapot??? and walked away so it's almost like I didn't have to cook. 2. Once the sausage is a bit brown, push the Keep Warm/Cancel button to turn off sauté and dump the pasta and the 3 cups water into the pot. 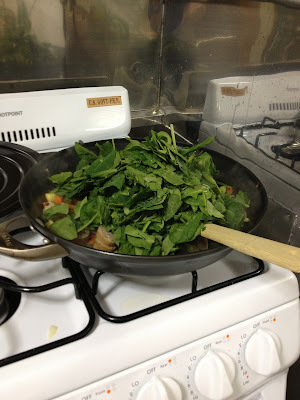 Add the 1/2 tsp salt and 1 Tbsp basil and stir. 3. Make sure that the sealing ring is firmly in the lid of the pot, put the lid on and seal it, turn the knob on the top towards the back to "sealing", and push the Manual button. Pasta cooks in the Instapot for half the time it is supposed to cook on the stove. My brand of pasta calls for 10 minutes cook time for al dente so I set my Manual time for 5 minutes (push Manual and use the + and - buttons to adjust the time). Even though this is called Baked Ziti, I guess technically it is no longer "baked". If you wanted to bake it, you could stir in the parmesan and cream cheese and then dump it into a 9x13 baking dish, sprinkle the mozzarella on top, and bake it at 475 for 10 or 15 mins until the cheese is golden brown and crispy. Another seriously delicious soup that is basically a vat of pureed veggies. The Broccoli Cheese Soup was such a success in our house that I wanted to see what other great veggie soups the Instant Pot could create. This one was greeted with equal enthusiasm by all the kids. Here in Japan they make this AMAZING pumpkin soup and this was our attempt at recreating it. Also, again, if you have not tried the Instant Pot yet you are seriously missing out. We use ours so much that we actually got a second one in an Amazon flash sale. ONE: Dump everything except the can of milk and the honey in the Instant Pot. (I like to turn the sauté function on while I am measuring and dumping to start heating up the broth. That way it will come to pressure faster.) Cook on Manual High Pressure for 6 minutes. TWO: Quick pressure release (that means when it is done, turn the knob on top to vent so all the steam rushes out), add the can of milk and the honey, and puree until smooth. Alternate Cooking Instructions: If you don't have an Instant Pot, just dump all of the ingredients except the milk and honey into a large sauce pan. Heat over medium high heat until the veggies are soft. Then add the milk and honey and puree. Freeze leftovers in 1 cup portions using the medium/large portion method to feed your freezer stash. Have you heard about the Instant Pot?! It is an electronic pressure cooker and it has changed my life. I use it at least once a day and it has replaced many of my other kitchen appliances. How did I not know the glories of pressure cooking before now?! ONE: Push the sauté button and sauté the onion in the olive oil until tender, about 8 minutes. TWO: Dump everything except the shredded cheese and evaporated milk into the inner pot. Make sure the lid has the sealing ring in place, put the lid on, close it, and turn the vent to sealing. Press manual and adjust to hi pressure and 6 minutes. THREE: Once the cooking time is complete, quick release the pressure and carefully remove the lid. 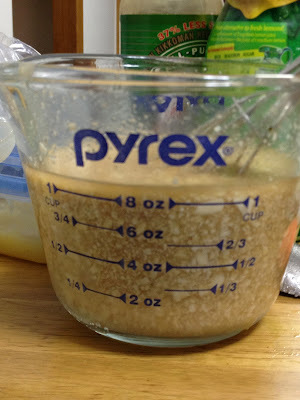 FOUR: Dump the shredded cheese and evaporated milk (if using) into the pot and puree with an immersion blender. Try not the eat the entire pot in one sitting. ONE: Spray a 9x13 baking dish lightly with cooking spray. (This is only bold and red because I personally forget it EVERY. SINGLE. TIME) Thinly slice the bananas and spread them over the bottom of the dish. Place in the oven and preheat to 375. The bananas will soften while the oven heats up. TWO: Mix everything else together. I usually mix half of the nuts in and sprinkle the other half on top. THREE: Once the oven is preheated, remove the baking dish. 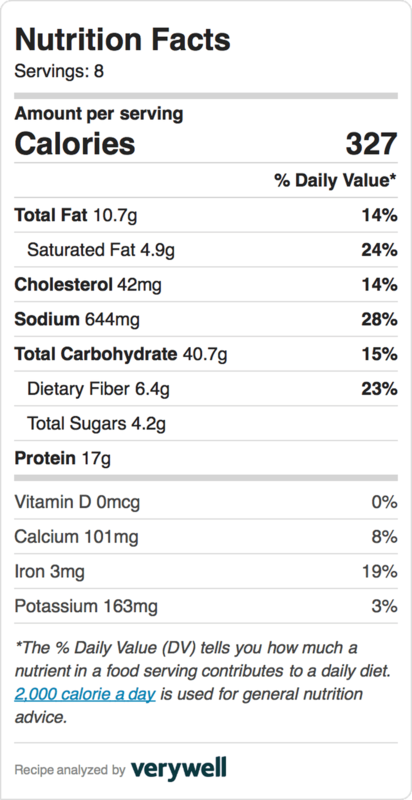 Dump the oatmeal mixture over the top of the bananas and spread it evenly. Bake 25-30 minutes until the top is golden brown. 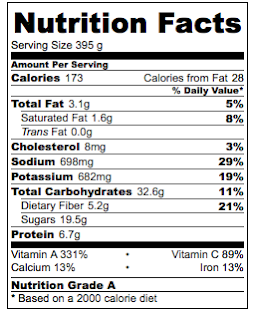 Cut into 8 or 12 servings (we eat a big breakfast so I always cut ours into 8) and serve warm. Freeze leftovers using the flash freeze method to feed your freezer stash. Reheat in the microwave or oven. ONE: Preheat the oven to 380 degrees Fahrenheit. Spray a 9x13 pan or muffin cups with cooking spray. TWO: Mix everything together and pour into prepared pan. Bake 20-25 minutes or until golden brown and the top springs back. I was busy for a while cooking up something extra special :) Meet our newest little addition, Elowen Anthea Laurel. The other three kids are completely smitten with her and we couldn't be happier. ONE: In a large skillet over medium heat, brown the ground turkey until no longer pink. Drain the excess grease. TWO: Puree the spinach into the 1/2 cup of water and add it to the browned meat in the skillet with all of the seasonings and tomatoes and black beans if using. (Sometimes I don't feel like bothering with the mini blender so I just rip the spinach up into little pieces and throw it in as is. But still add the 1/2 cup of water). Mix well and continue to cook over medium heat until the sauce has thickened a bit, about 3-5 minutes. Freeze leftovers in 1/4 cup portions using the medium/large portions method to feed your freezer stash. Turn a muffin pan upside down. Spray both sides of the tortillas lightly with cooking spray and wedge between the cups of the muffin pan so that they are standing upright and look like taco shells. Bake in a preheated 350 degree oven for 15-17 minutes until crispy and golden brown. Spray tortillas with cooking spray and line up on an inverted muffin tin. NOTE: I use a can of coconut milk and then a can full of regular milk plus some coconut extract. You could of course use two cans of coconut milk and skip the regular milk or 4 cups of regular milk plus 2 tsp of coconut extract and skip the coconut milk. Or if you don't care for coconut, do regular milk and skip the extract. ONE: Drizzle the olive oil into a large pot and add the carrots, broccoli, curry powder, cinnamon, ginger, and paprika. Stir well to coat and cook over medium heat, covered, stirring occasionally for about 10 minutes or until veggies have softened. TWO: In a blender, puree the cilantro into the chicken broth. Once veggies are soft, add all remaining ingredients to the pot. Bring to a boil, reduce heat to low, and let simmer 5 minutes. Freeze leftovers in 1-cup portions using the medium/large portions method to feed your freezer stash. My kids love pancakes and about once a month I will make a big batch of these ones or these ones. But some mornings I am feeling slow and lazy or we have woken up particularly late and I don't feel like taking the time to mix up the batter and stand over the griddle. Oven baked pancakes to the rescue!! These are light and fluffy and the best part is it only takes me a few minutes to mix the batter up the night before. In the morning I just throw some fruit on top and shove them in the oven. While they are baking I am hands free to make everyone their morning tea and maybe even unload the dishwasher. Note: You can of course just make these in the morning without letting the batter sit overnight. ONE: Whisk together all the pancake ingredients. Lightly mist a 9x13" pan with cooking spray and spread the batter evenly in the pan. Cover and refrigerate overnight (if cooking right away omit the covering and refrigeration). TWO: Preheat oven to 350F. Spread fruit of choice evenly over the batter and then sprinkle with the sucanat and cinnamon. THREE: Bake 25-30 mins until the edges are lightly browned and the top springs back when touched. Cut into 8 squares and serve warm. Freeze leftovers using the flash freeze method to feed your freezer stash. There are few food combinations we like better than peanut butter and chocolate so these were a great Saturday morning treat in our house. 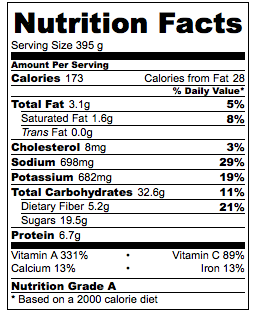 Plus by adding some peanut butter to the batter, it boosts the protein and keeps the kids full longer. Does anyone else feel like they spend 75% of their day feeding their children?! Some days I will not even be done cleaning up the breakfast dishes before someone is asking me if it is lunch time yet. I automatically doubled the recipe I based these off of so that I would have some to freeze and eat throughout the week but, if for some crazy reason you DON'T want 30 pancakes, just halve it. Not surprisingly, the kids all scarfed these down. And it took my hungriest kid a whole hour to ask if it was lunchtime yet. They did, however, ask why they weren't green. When I make pancakes I always blend half a bag of fresh spinach into the batter but this morning I was lazy. It would certainly work with this recipe, though. FOUR: When the top is bubbly and almost set, flip and cook another minute or so until both sides are golden brown. My lovely assistant. "If I just stretch out a little bit maybe I can swipe one." Never mind the spatula, let's see if I can just get a bite on my fork. Hi. This isn't going to be all fancy and nicely formatted. I'm putting it on here quickly simply because I threw it together tonight, I loved it, Matt loved it, my kids ate it with minimal complaint, and I don't want to forget how to make it. I love many things about Japan but one of the things I love most is the plethora of fresh food. It is a big part of the culture. Many people here don't do one big grocery shop a week or every two weeks like in the states. Instead they buy things fresh every day or every other day. I always want to just run into my local Japanese grocery store and grab some things to throw together a quick stir fry. But I am incapable of cooking anything without a recipe. Well tonight I went for it!!!! The kids and I had been at my friend Christine's house all day (hi, Christine!!) and we were planning to eat dinner there. (She made spaghetti squash with chicken, parmesan, and avocado! That will be a post for another day.) Matt suddenly texted to let me know he would be coming home after all. So we hopped into the car and I ran into the store on the way home. I had nothing remotely in mind for dinner so I thought tonight would be the night to just go for it! ONE: Cut the protein up into bite sized pieces and brown it in a skillet/wok in a little bit of oil (I used olive oil) over medium heat, stirring occasionally. THREE: Once the protein is cooked, remove from pan, and add a little bit more oil. Throw your slower cooking veggies in first (like asparagus, carrots, or broccoli) and stir fry about 3 minutes. Then add your faster cooking veggies (like onions and bean sprouts) and cook until tender crisp. If using leafy greens, throw them in during the last minute of stir frying. 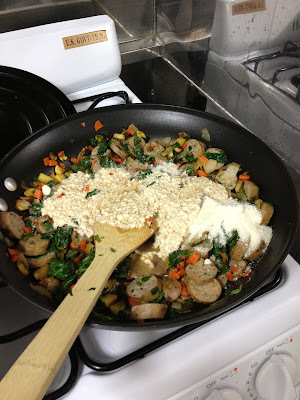 FOUR: Once veggies are done, add your protein back into the pan along with your complex carbohydrate (in my case the soba noodles) and dump in the sauce. Stir it all and let it cook a little bit until the sauce starts bubbling. Let the sauce bubble for a minute or so until it is heated through and the sauce is your desired thickness (more bubbling equals thicker sauce). This is just for the sauce since the actual stir fry ingredients will vary. 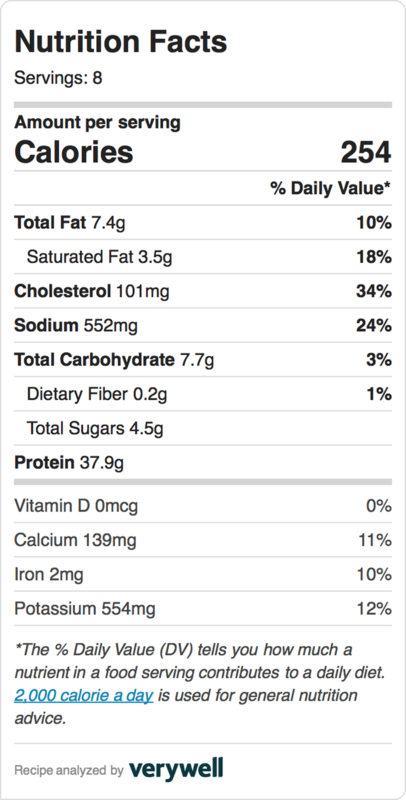 You could use this sauce for 4 portions or certainly stretch it to cover 6 portions. Yum, yum, YUM! I got the idea for this recipe in part from a post on my friend, Mandy's, facebook page. Mandy is my super awesome friend who creates all kinds of scrumptiously delicious things in her kitchen. She's the kind of friend that drops off muffins on your doorstep in the morning or comes to visit you after you have a baby, brings a whole bunch of food, and then forces you to sit down and eat while she does your dishes or something. Anyway, Mandy follows the Paleo Diet now and she posted a recipe for a Buffalo Chicken Cauliflower Casserole. I loved the idea of a casserole featuring veggies as the main ingredient but I didn't have any chicken and we are pretty wimpy about spicy things in our house. 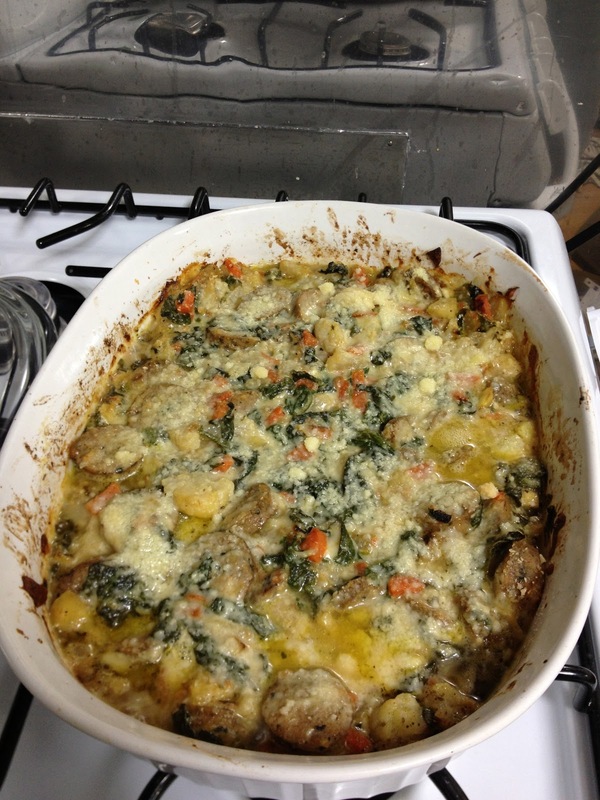 So really the only thing I took from the recipe was how to cook the cauliflower to start the casserole LOL. The end result was totally different but SOOOOOOOO good. Creamy and savory with a crispy parmesan crust. I inhaled my bowl and the boys were equally enthusiastic. The baby started dancing in her high chair after the first bite and then growled at me if I put her spoon down for a minute to get my own bite. (If you want to see what she looks like when she is NOT growling, make sure to scroll to the bottom!) I will admit that the boys and I each had a piece of homemade whole wheat bread and butter with our servings (so no Paleo for us!) but it was only because the bread had just finished baking and we had been smelling it for an hour. We would have been more than satisfied with just the casserole. ONE: Preheat oven to 400. 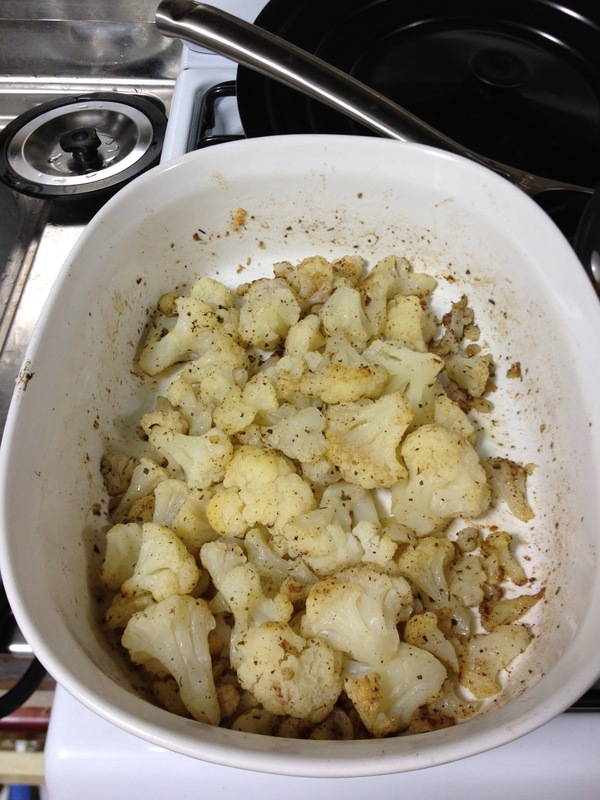 Dump the cauliflower into a large baking dish and pour 2 Tbsp olive oil over the top. 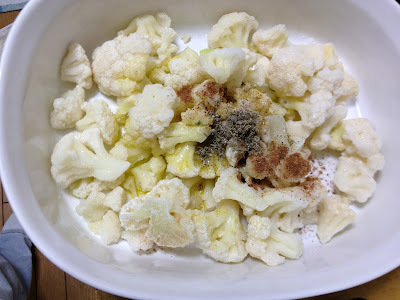 Sprinkle with salt, nutmeg, and sage and stir well until all of the cauliflower is coated with oil and seasonings. Bake 30 minutes, stirring once in the middle, until cooked through and starting to brown. 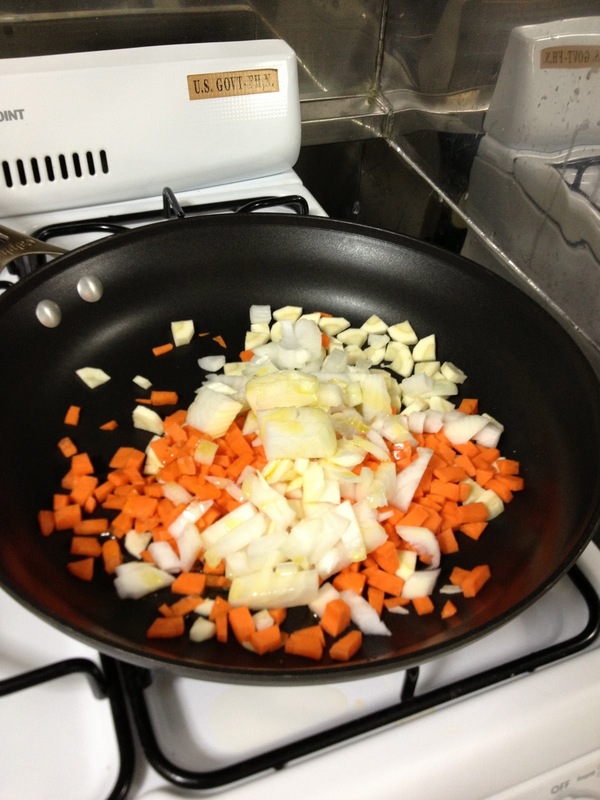 TWO: While the cauliflower is cooking, throw the onion, parsnips, and carrots into a large saute pan with the remaining 1 tsp of olive oil. Stir well, cover, and cook over medium heat until onion is translucent and veggies have softened, about 10 minutes. FOUR: Whisk the tofu and lemon juice into the chicken stock. (I used homemade chicken stock that had no added salt so I added 1 tsp of low sodium soy sauce to the mixture.) 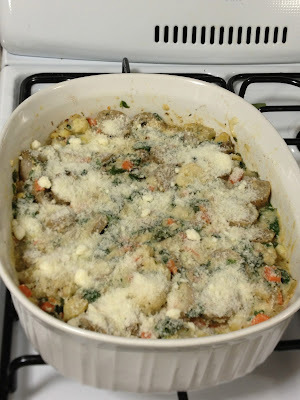 Pour it over the veggie mixture along with the shredded mozzarella and 1/4 cup parmesan cheese. Stir well and heat through until the cheese has melted, about 2 minutes. 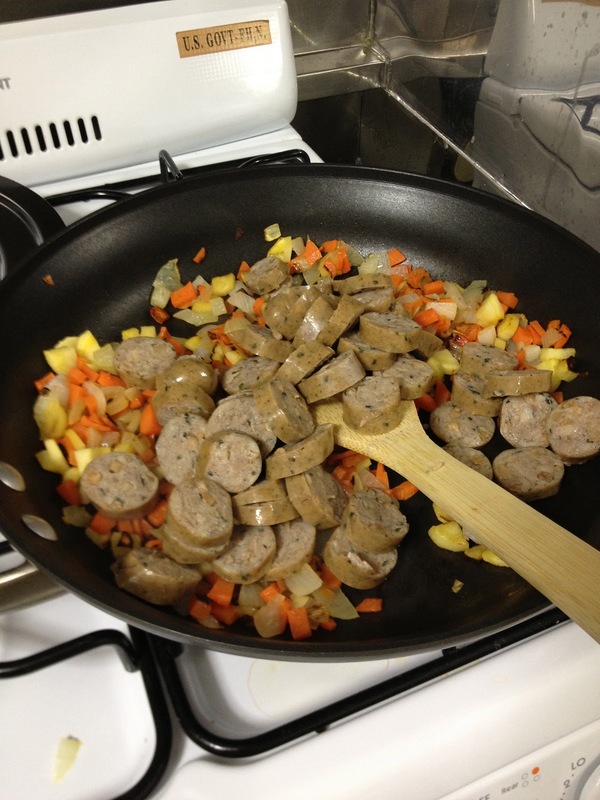 FIVE: Add the sausage mixture into the baking dish with the cooked cauliflower. Mix well, breaking up any large pieces of cauliflower as you stir. 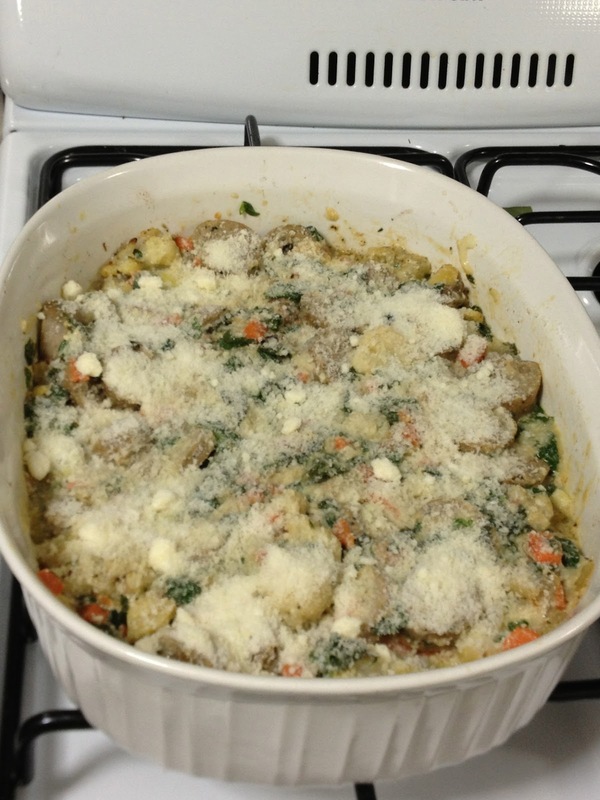 Sprinkle the remaining 1/4 cup of parmesan cheese over the top and bake, covered, for 15 minutes. Uncover and bake an additional 5 minutes or until the parmesan cheese is bubbly and golden brown. Freeze in 1 1/2 cup portions using the medium/large portions method to feed your freezer stash. Toss cauliflower in a baking dish with olive oil, salt, sage, and nutmeg. 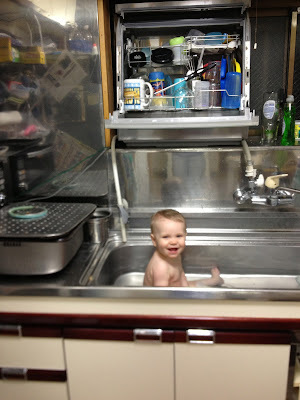 Liadan enjoyed a bath in the sink while I chopped veggies. How's that for multitasking? 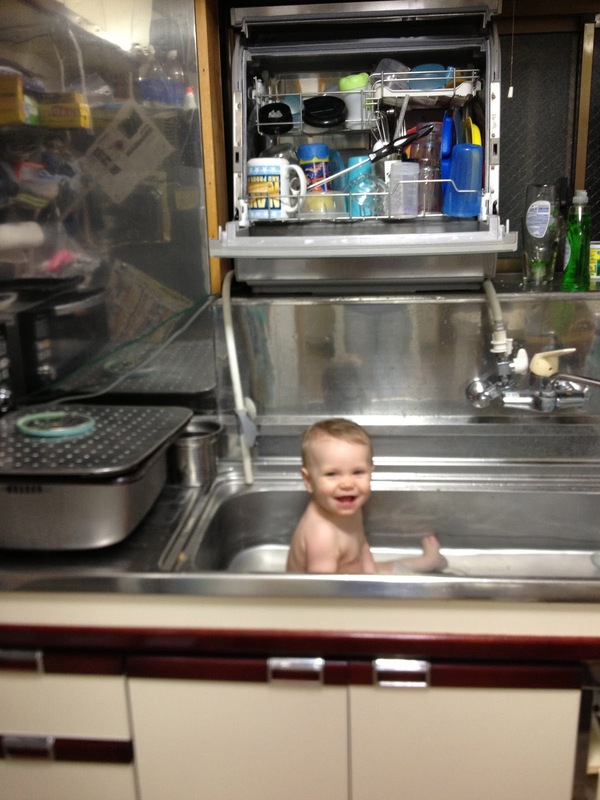 One more perk of my super cool Japanese house!